Our salt cave offers the opportunity to breathe anti-viral, anti-bacterial, clean air. Salt has been used for many years as an ordinary household remedy, whether it be through the use of saline sprays, Neti-pots, salt baths, or inhaling salty steam. 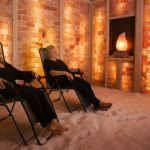 When you visit Himalayan Hideaway Salt Cave, you’ll experience the benefits of salt therapy (also known as halotherapy) first-hand. In our unique micro-climate, we provide 45-minute therapeutic and restorative sessions to alleviate symptoms related to allergies, arthritis, respiratory ailments, and skin conditions. Our salt cave offers the opportunity to breathe anti-viral, anti-bacterial, clean air, which promotes overall wellbeing for each of our guests. While many spa environments allow the use of electronics, Himalayan Hideaway Salt Cave wants you to enjoy the full getaway experience. Since there are no electronics allowed during your session, you can truly appreciate the ‘down time’ from daily distractions and life stressors. You can kick back and relax in your zero-gravity chair, with a comfortable blanket and relaxing lighting, and enjoy the ultimate peace of mind and serenity. Your salt cave experience in Winston-Salem, North Carolina will be one to remember. 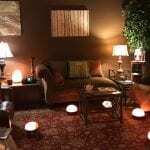 Contact us at Himalayan Hideaway Salt Cave today.